Corbett was brought to Home Park in 1962 by Ellis Stuttard, with whom he had previously worked at Swindon Town. Beginning his career as a junior with the Wiltshire club, he worked his way into the first team and made over 60 appearances during his four years there. After joining Argyle he made a big impression in his first two seasons and his displays on the wing made him a crowd favourite. However, a series of injuries restricted his appearances for the next three years and sadly led to his early retirement from the game. 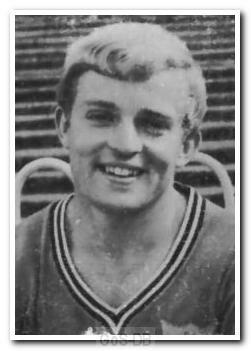 Dave Corbett was a winger in an era of dashing Argyle wingers - Micky Lill, Peter Anderson, Nicky Jennings, Ken Maloy and Barrie Jones all played with Dave, who endeared himself to the Home Park faithful by invariably managing to get one of his trademark hanging crosses in, however unlikely or unpromising the situation seemed. This was especially welcome to the likes of George Kirby and Frank Lord, who thrived on his service. In November 1962 the England U-23 side played Belgium at Home Park and it was strongly rumoured that Dave Corbett would be capped, as often happened with 'home' players at the time. In the end he was not selected and a section of the crowd was less than gracious with Alan Suddick of Newcastle who appeared on the right wing. Alan Suddick was probably the better all-round player but given the lack of competition from Belgium (1-6) it wouldn't have harmed anyone to have given Dave a cap - it was the sort of game just made for him.